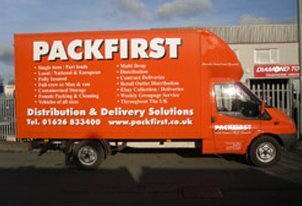 Packfirst Removals provide budget house removals, budget office removals, man and van removal services across the UK and Europe. 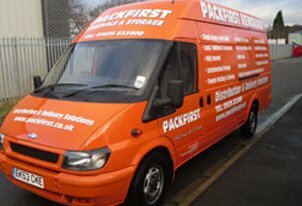 Packfirst now offer a budget option alongside our renowned premier removal, packing and storage services. Listed below are some of our options and prices to enable you to plan your own budget removal using our fully trained, polite and caring staff. 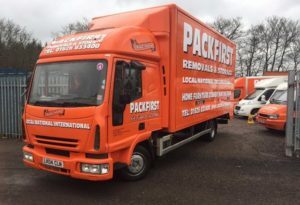 We can offer a range of different vehicle sizes from jumbo transit to a full removal truck with just a driver or also with an additional porter. A female packing service is also available consisting of 2 female packing assistants for £30 per hour plus packaging. Get in touch with us today for solutions to all of your removal requirements, whatever size vehicle you have in mind. Hourly rates are subject to VAT at the standard rate. Chargeable hourly rates start and finish at our depot. To ensure cost efficiency packing and access should be pre-arranged. All goods should be packed safely and securely ready for transportation – we sell a wide range of packaging with free delivery. Payment terms are cash or card payment over the phone on completion. After booking, a cancellation charge of your 2-hour minimum will be applicable on cancellations within 7 days of your removal date. Please ensure that the full address and contact details have been advised before departure. 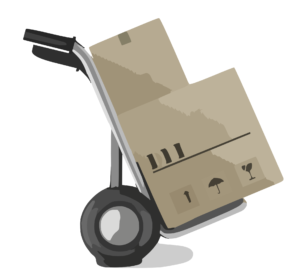 Goods in-transit insurance will only be supplied if the entire removal is carried out solely by our staff.